An Entertainment Weekly "Seriously Scary Summer Read"
"This multimedia project is a perfect thriller to stow in your beach bag." "For those who like a suspenseful and riveting novel." "This book will have you turning pages as you try and decide what you believe and who you can trust." 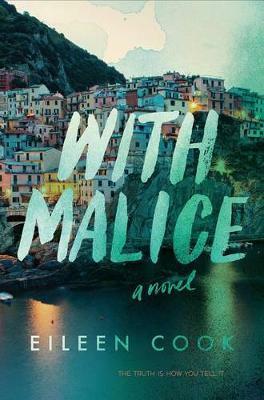 "[With Malice] is a page-turner, and the ending is unsettling--let the reader beware." "Cook believably portrays the struggles of girl who had it all and is left to pick up the pieces of a life she isn't sure is hers." Eileen Cook is a multi-published author, with her novels appearing in eight different languages. Her books have been optioned for film and TV. Eileen lives in Vancouver with her husband and one very naughty dog. Visit her website at www.eileencook.com.